If you’re a total klutz like yours truly, then you know the importance of a good case for your personal electronics. 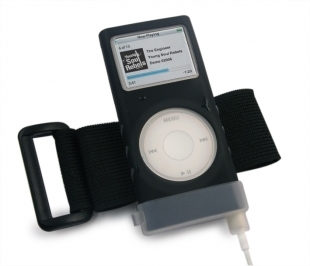 Proporta has just released its new Splash Proof Sports Kit for the iPod Nano 2G. Ready to take a beating, it comes equipped with dual skin silicone casing, a protective clear screen, adjustable armband, a lanyard, and a belt clip in case you need to look like you’re 43. This splash-proof beauty is available now and will set you back about $40. Sailors rejoice!